“Lingchi” was a brutal Chinese method of execution that was practiced from around 900 AD until 1905 when it was outlawed there. Its barbaric history is detailed in the 2008 book, “Death by a Thousand Cuts,” written by three French and Canadian professors, Timothy Brook, Jerome Bourgon, and Gregory Blue. I won’t be reading it, so if you do, tell me how it turns out. Today, lingchi is often used symbolically for the death of things instead of people. Most often, those “things” are ideas. Culturally speaking, traditions and otherwise common practices run their course as cultures evolve. This happens slowly, sometimes painfully so, even when it is obvious that some version of a new approach is certain to be more successful. Enter 2018, and today’s new version of an old debate about guns in America. I have written often about the irrational nature of the debate on this issue. The status quo is not working here, no matter which side of the debate one might support. 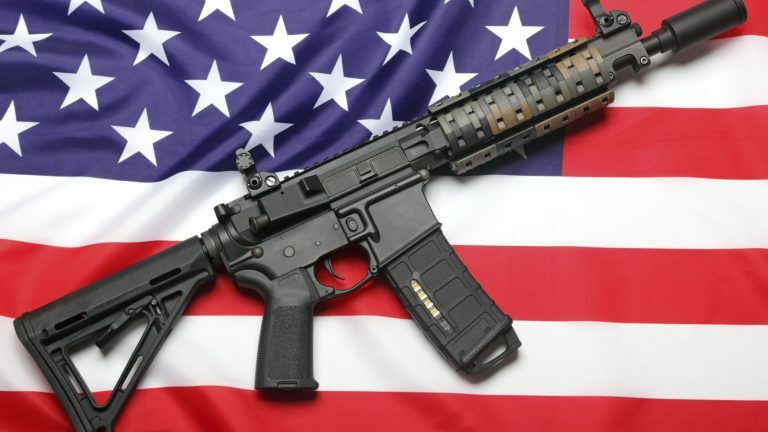 But what is more concerning than our unique relationship with guns, has been the absence of legitimate debate on our failings in this arena. Public and rational debate of things that don’t work for us is something that defines our nation. Except on guns. The student driven protests that have been sweeping the nation is cutting into our culture’s paralysis on the discussion of a modern approach to guns. It is important to recognize what might actually be dying though, at least what is dying today. The absolutist approach of the National Rifle Association is what is bleeding right now. Their faithful membership and support network are reacting to it with fear that the 2nd Amendment is in jeopardy. It isn’t. For many years in the recent past, a discussion of any shift to what might be viewed as a more restrictive gun policy was taboo in most places. What has become taboo since the February 14 shooting at Marjory Stoneman Douglass High School in Parkland, Florida, has changed. The standard responses that have been successfully used countless times to thwart discussion of this American scourge have now fallen out of favor. problem by passing a law. After a wave of backlash, by Wednesday he had apologized for the ridiculous notion. That notion would have passed unchecked just two short months ago. On March 28, Laura Ingraham, the notoriously conservative Fox News host, decided to attack one of the leaders of the Florida uprising, David Hogg, on Twitter. She did so by mocking his apparent rejections from some colleges to which he had applied. This led to at least six sponsors cancelling their advertising on her show, and then her eventual apology to go with it. For much of the last two decades, and increasingly so in places like Indiana, having a logical and scientifically based discussion of where our nation should go on the gun violence issue has been impossible. Politicians’ fear of engaging on it has become a true phobia. Two things have cut into that phobia: a shift in the message, and the arrival of a better messenger. America is uncomfortable disregarding the movement that has sprung up out of Parkland. That movement has nurtured the sprouting of many other credible young voices from other places like Chicago and Baltimore. These young people are now also insulated from the Ingrahams and Santorums of the world. And while our country mourns the loss of life that gun violence has brought and the scarring of our culture that comes with it, it is important to identify the shift in our language on the matter. The protestors are not asking for the repeal of the 2nd Amendment. They aren’t asking for the confiscation of guns. They are asking for common sense gun regulation. What has been the weakness of “the left” in recent years has been the equally extreme counter argument to the NRA’s absolutism. What has made these protests difficult to attack this time, by my gun loving friends, has been the absence of that extreme verbiage. Lingchi’s goal is death. The slowness of its eventual outcome is what makes it tortuous. In the case of the absolutist approach of America’s gun culture, we should watch its fade to black with collective glee. Rational discussion, through shared common goals, should rightfully take its place. Not only have the “kids from Parkland” changed the environment on guns, without even mentioning the subjects, they have also altered the environment on the discussion LGBTQ and race issues. And that’s a good thing. We, progressives, thought the cultural tipping point was the presidential election of 2008. We were wrong. Although everything in our history since, at least since 1861, told us we should have expected it, but we were caught off guard by the 2016 backlash.